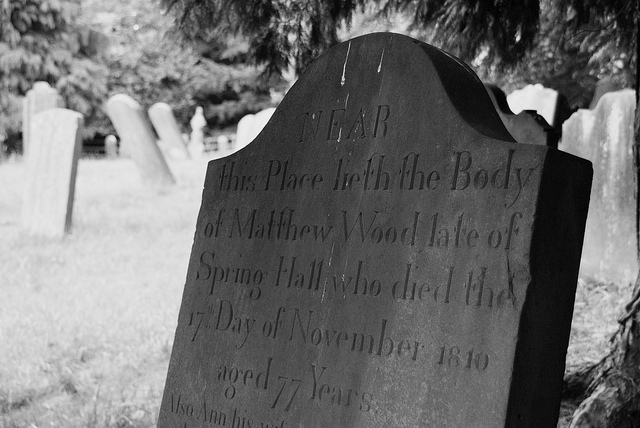 Thanks to Ann King for information about Matthew Wood of Spring Hall, Grewelthorpe. Thanks to Diane Johansen for information about Matthew Wood of the Hutts Farm. David Roberts wrote April 2016 seeking information about Thomas Wood b.1799 & Mary Beck b. 1803. Hi I have been researching my family tree for about 12 years now and one of my stumbling blocks was my my g.grandmother mary ann wood, I finally made a breakthrough this year and am almost certain that mary ann wood’s father was thomas wood from masham who married mary beck from grewelthorpe the elder sister of john beck the miller. Thomas Wood was born in c1799 Mary Beck 1803 I have found loads of information on the beck side from your lovely site its been a fantastic help. But I am no nearer with thomas wood there’s that many that fit the bill but even if I saw correct birth record I would’nt be able to tie him in unless I was certain. I know that their banns were read 28 dec 1828 4 jan and 11 jan 1829 but cant find the actual marriage date or any witnesses etc to give me a lead, I know they went to live in Leeds after they were married as my g.grandmother mary ann was born 20 july 1830 Leeds st peter as were all the following family of nine children thomas was a butter factor and moved to romanby sometime after 1851 as he appears there at spital farm in 1861 his daughter jane his also there married to james lightfoot. mary wood died in 1865 romanby and thomas died nov 1868 romanby james and jane lightfoot are running spital farm in the following censuses. so if anyone can put me on to the correct wood family it could save me a lot of time ,sorry to ramble on. If you can help David please contact the site. AMY WOOD. Bap. 18.3.1887. Buried 19.3.1887 Grewelthorpe. Dau of John & Mary Anne. ANN [Nancy] WOOD. Born C1777. Died 1847. Dau of Matthew & Ann. Wife of Henry Chandler. Married 22.11.1806 Kirkby Malzeard. Lived Springhall Farm, Grewelthorpe and had 5 children. Ann  Elizabeth  Jane  Mary  Henry . After her Father’s death she and Henry took over Spring Hall Farm, Grewelthorpe. ANN WOOD. Born C. 1816 Kirkby Malzeard. Widow in 1891 living with son Joseph & Grandson Henry. ANN WOOD. Born C. 1836 Ilton. Wife of George.ANN WOOD [Nee Tebb]. Born C.1846 Dallowgill. Dau of John Tebb. of Scarborough. Married James Wood. Lived Laverton 1871. ANNE WOOD. Born C. 1843. Bap. 11.7.1859[age 16] Kirkby Malzeard. Dau of George & Jane of Deep Gill. ANNE WOOD. Bap. 4.8.1867 Grewelthorpe. Dau of George & Ellen of The Hutts, Grewelthorpe. ANN ELIZABETH WOOD. Born C. 1873 Swinton. Dau of John & Mary Anne. Started Grewelthorpe school 17.4.1883. ANNIE WOOD. Of Grewelthorpe. Banns read for marriage to Adam Blackburn. of Acrington in May 1869. ANNIE WOOD. Born1.1.1916. Died 15.2.1997. Dau of William of Ellershaw & Lizzie King. . Started Grewelthorpe school 1.4.1924. Married Robert Iveson Waite. in 1935. ANTHONY WOOD. Bap. 19.8.1756 Kirkby Malzeard. Son of Thomas & Ursula Scott. Married Elizabeth Atkinson. of Kirkby Malzeard in 1780. ANTHONY WOOD. Born C. 1842 Kirkby Malzeard. Husband of Mary Ann. 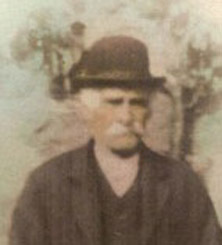 Farmer in K.Malzeard in 1871. ARTHUR WOOD. Born C. 1883 Kirkby Malzeard. Horseman working at Broadfields Farm Littlethorpe 1901. BENJAMIN WOOD. Born C. 1832 Grewelthorpe. Living Langley Moor, Durham as a Coke Drawer in 1881. Widower. BETSY WOOD [Nee Bainbridge]. Born 1843. Bowes. Died 9.5.1914. Wife of Matthew of Blois Hall. M.I. BRIDGET WOOD. Born C.1839. Buried 26.12.1841 Kirkby Malzeard. BROMLEY D. WOOD. Born 7 Dec 1881. Lived Carr House Galphay in 1939. Farm manager. Unmarried. CATHERINE WOOD. Born 1837. Died 1837. Buried 27.3.1837 Kirkby Malzeard. CHRISTOPHER WOOD. Of Grewelthorpe C1500. Married Margaret. DOROTHY HILDA WOOD. Born 6.11.1914. Bap. 6.12.1914. Dau of George & Sarah Jane of Bramly Grange. Started Grewelthorpe school 1.4.1922. EASTER WOOD. Bap 5.5.1765 Grewelthorpe. Dau of Jona. EDITH WOOD. Born 6.4.1910. Dau of George & Sarah Jane of Fir Tree House Bramley Grange. Started Grewelthorpe school 8.4.1918. EDWARD WOOD. Born C1841. Lived Kirkby Malzeard. Died 8.11.1926 Ripon workhouse of Gangrene in feet and senile decay. Buried Kirkby Malzeard. ELEANOR WOOD. Born C.1837 Kirby Malzeard. Dau of William the Innkeeper. Married on 17.5.1856 Kirkby Malzeard to Richard Frankland. [b.1829] son of William Frankland. ELEANOR WOOD [Nee Iddison.] Born 1845. Wife of George . ELIZA WOOD. Born C1830. Buried 13.12.1837 Kirkby Malzeard. ELIZA WOOD. Bap. 2.10.1849 Kirkby Malzeard. dau of John [The Cooper] & Eliza of Harrogate. ELIZA WOOD. Born C. 1876 Grewelthorpe. Dau of George & Ellen. Living as an unmarried servant in Ripon 1901. Married on 25.11.1902 at Kirkby Malzeard to John Stott. of Markington. [b.1876] son of John. In 1911 living Middleton Quernhow with 4 children. ELIZABETH WOOD. Born C. 1811 Ringbeck. Wife of John. Buried 26.4.1851 Kirkby Malzeard. [Par. Reg]. Lived Bramley Grange. ELIZABETH WOOD. Bap. 2.9.1849 Grewelthorpe. Dau of Matthew [The Yeoman] & Sarah. of Grewelthorpe. ELIZABETH WOOD. Born C. 1860 dau of Benjamin. ELIZABETH WOOD. Born. C. 1862 Grewelthorpe. Living with sister Mary in 1891 at Great Smeaton. ELLEN WOOD. Born C. 1841 Grewelthorpe. Dau of John & Elizabeth. ELLEN WOOD. Born C. 1845 Kirkby Malzeard. Wife of George. ELLEN WOOD. Born C. 1868 Grewelthorpe. Dau of Anthony & Mary Ann. EMMA WOOD. Born C. 1845 Brighton. Wife of William of Grovedale farm. EMMA WOOD nee HANKIN. Born C. 1882. Married William Wood in 1902. ERNEST JOHN WOOD. Bap. 18.9.1881 Grewelthorpe. Son of John & Mary Anne Binks. 1911 living with widowed Father at Ellershaw, Bramley Grange. unmarried. ERNEST DONALD WOOD. Born C. 1884. Builder. Married ETHEL LEATHLEY. Born C. 1881. School teacher. in 1908 in Grewelthorpe. ERNEST WOOD. Born 31 March 1886. Married to Annie born 1886. Master Joiner living Brow Cottage Kirkby Malzeard in 1939. ESTHER WOOD. Born C. 1786. Buried 28.3.1847 Kirkby Malzeard. ESTHER WOOD. Born C. 1801. Lived Kirkby Malzeard. Buried 10.2.1837 K.Malzeard. ESTHER WOOD. Born C. 1824. Buried 3.4.1842 Kirkby Malzeard. ESTHER WOOD. Born 1841 Grewelthorpe. Buried 31.1.1841 Kirkby Malzeard. FLORENCE WOOD. Born 10.3.1921. Died 24.6.2005. Dau of William & Lizzie King. Married Robert George Bain. [1919-1982]. FRED WOOD. Born 4 May 1875. Married Frances [Born 1875]. He was a sawyer living Fearby Cross in 1939. GEORGE WOOD. Bap. 9.12.1733 Kirkby Malzeard. Son of Thomas [d.1776]. GEORGE WOOD. Bap. 1.10.1753 Kirkby Malzeard. Died before 1766. Son of Thomas & Ursula Scott. GEORGE WOOD. Born C. 1756. Buried 28.12.1849 Kirkby Malzeard. [Par.Reg]. GEORGE WOOD. Bap. 7.11.1766 Kirkby Malzeard. Son of Thomas & Ursula Scott. GEORGE WOOD. Born C 1796 Grewelthorpe. Farmer Bramley Grange. Husband of Mary of Mickley. Grandfather of HERBERT WARNS. born 1857 Leeds. Uncle of GEORGE UMPLEBY. born 1837 Kirkby Malzeard. GEORGE WOOD. Butcher in Kirkby Malzeard. Baines directory 1822. Made bankrupt in 1809. GEORGE WOOD. Born C. 1835 Grewelthorpe. Farmer. Husband of Ann of Ilton. 1871 Living Huddersfield. Living a widower in Station Rd. Beckingham Nottinghamshire. A carter in 1891. GEORGE WOOD. Born C. 1839 Kirkby Malzeard. Farmer. Son of William The Broom maker & Jane. Husband of Eleanor Iddison. of Kirkby Malzeard. In 1871 living North Stainley with Brother in law JOHN IDDISON & KATE. GEORGE WOOD. Born C. 1864 Grewelthorpe. Son of George & Ann of Ilton. GEORGE WOOD. Born 2.2.1877 Swinton. Son of John & Mary Anne. Started Grewelthorpe school 23.6.1884. married Sarah Jane ? of Leeds, in 1896. Living Fir Tree House, Bramley Grange in 1911. GEORGE H. WOOD. Born . 1898 Kirkby Malzeard. Son of Eliza Wood who married John Stott in 1902. Grandson of George & Ellen. GRACE WOOD. Born C. 1761. Buried 3.11.1844 Kirkby Malzeard. HANNAH WOOD. Born C. 1750 Grewelthorpe. Married Matthew Imeson. 12.10.1778 Kirkby Malzeard. HANNAH WOOD. Born C. 1840 Grewelthorpe. Dau. of George & Mary. Dairymaid in 1861 in Carlesmoor. HARRIET WOOD. Born 22.7.1870 Grewelthorpe. Dau. of George & Ellen. Started Grewelthorpe school 14.11.1876. HENRY WOOD. Born C. 1804 Kirkby Malzeard. Married to Isabella born 1808 in Pateley Bridge. Living K.Malzeard 1871. HENRY WOOD. Born C. 1821. Buried 10.9.1842 Kirkby Malzeard. HENRY WOOD. Born C.1831 Kirkby Malzeard. Son of William the Besom maker. Married on 5.6.1854 Kirkby Malzeard to Maria Harrison. [b.1831 Ripon] Dau of Joseph Harrison the Blacksmith. [Ref. K.Mal.Par.Reg. ]*HENRY WOOD. * Born 1837. Buried 9.12.1837 Kirkby Malzeard. HENRY WOOD. Born C.1862. Coal miner. Son of Benjamin. Living Durham 1881. HENRY WOOD. Born C. 1867 Kirkby Malzeard. Son of Anthony & Mary Ann. Possible the grandson living with widow Ann & son Joseph in 1891. HENRY WOOD. Born 7 Oct 1871. Widower living K.Malzeard in 1939. A retired Farm Labourer. HILDA WOOD. Dau of William Wood of lSpring House, Grewelthorpe. Sister of John William Wood born 1924. He gave her away at her wedding.Married Ernest Horner. eldest son of R.Horner. of Kirkby Malzeard. Wedding at Grewelthorpe 24.5.1947. See picture at end. ISABELL WOOD. Bap. 21.7.1739 Kirkby Malzeard. Dau of Thomas [d1776]. ISABELLA WOOD. Bap. 16.5.1762 Kirkby Malzeard. Dau of Thomas & Ursula Scott. ISABELLA WOOD [nee ?]. Born C. 1808 Pateley Bridge. Married to Henry [b.1804] a Farmer in Kirkby Malzeard. Buried 13.6.1852 Kirkby Malzeard. [Ref. Par.Reg]. JANE WOOD. Dau of Matthew married Henry Buckle. a butcher in Kirkby Malzeard 19.5.1795. Their eldest son was Matthew Buckle. [b. 1796] see Buckle page. JANE WOOD. Born C. 1844 Grewelthorpe. Dau of John & Elizabeth. JANE WOOD. Born 18 Feb 1867. Unmarried living K.Malzeard in 1939. JANE WOOD Born C1873. Died age 61 in 1934. Interred at Winksley. having lived in Grewelthorpe. JANE ANNIE WOOD. Born 14.5.1875. Dau of John of Fingerfield Grewelthorpe. Started Grewelthorpe school 11.6.1883. JANE WOOD. Bap. 11.7.1880 Grewelthorpe. Dau of John & Mary Anne of Bramley Grange. JAMES WOOD. Born C. 1818 Grewelthorpe. Woodman. Husband of Elizabeth of Scotland. Living Shafton 1891. JAMES CHRIS TULLY WOOD. Born C. 1885 Grewelthorpe. Son of William & Emma. Living Kirby Underdale 1891.JEREMIAH WOOD. Bap. 24.11.1844 Kirkby Malzeard. Son of William & Jane. JOHN WOOD. Bap. 5.11.1727 Kirkby Malzeard. Son of Thomas [d.1776]. JOHN WOOD. Buried 27.2.1730 Kirkby Malzeard. 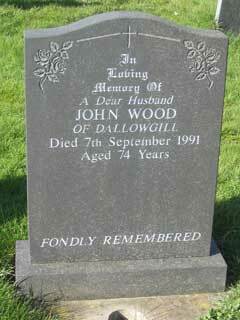 Lived Dallowgill. JOHN WOOD. Born C. Died 1806, Buried Kirkby Malzeard. Son of Matthew [of Spring Hall] & Ann. Married Esther Jackson. on 9.5.1799. They had 2 sons. Thomas & Matthew. JOHN WOOD. Born C. 1769. Buried 14.12.1842 Kirkby Malzeard. JOHN WOOD. Born 1773. Buried 26.2.1838 Kirkby Malzeard. JOHN WOOD. of Pateley Bridge. Married in Sept. 1807 to Mary Yeoman. of Pateley Bridge. Ref Leeds Mercury Newspaper. JOHN WOOD. Born C. 1807. Farmer Bramley Grange. Husband of Elizabeth Lambert. of Ringbeck. Gentleman Baines directory 1822. They married on 27.1.1839 at Kirkby Malzeard. Elizabeth was his 2nd wife. JOHN WOOD. Born C. 1819. Lived Ripon. Buried 30.3.1848 Kirkby Malzeard. JOHN WOOD. Born C. 1844 Grewelthorpe. Son of George & Mary. Husband of Mary Anne Binks. of Ilton. Banns read Jan. 1869. Married 41 years. Widower in 1911. Living Ellershaw. Bramley Grange.According to newspaper report in 1888 [York Herald] Mr John Wood of Ellershaw was sued by Samuel Cunliffe Lister for 5s damages for trespass on Grewelthorpe moor. Caused by stocking the moor with sheep or otherwise allowing them to depasture. JOHN WOOD. Bap. 2.9.1849 Grewelthorpe. Son of Matthew [The Yeoman] & Sarah. Living Hutts Farm 1871. JOHN WILKINSON WOOD. Bap. 8.4.1855 Kirkby Malzeard. Son of Henry & Maria. JOHN WILLIAM WOOD. Born C 1855. Lived Kirkby Malzeard. Died 7.6.1924 Ripon workhouse. He was a paraplegic. Buried Kirkby Malzeard. JOHN WOOD. Born 14.3.1917. Died 7.9.1991. M.I. Son of Ernest of Ilton Grange. JOHN WILLIAM WOOD. Born 27.7.1924. Son of William & Lizzie King. of Spring House, Grewelthorpe. Married Margaret [Peggy] Singleton. of Masham in April 1953. Butchers labourer. JONATHAN WOOD. Born C. 1731. Buried 16.6.1825. Will made 3.11.1818. Proved 20.7.1825. Yeoman of Grewelthorpe. JONATHAN WOOD. Bap 24.12.1762 Grewelthorpe.Son of Jonathan. JONATHAN WOOD. Farmer Hackfall. Made will 4.11.1835. Proved 5.5.1836. [Masham Peculiar records]*JOSEPH WOOD. * Born C.1844 Kirkby Malzeard. unmarried in 1891. JOSEPH WOOD. Born 7 Dec 1869. son of Robert. Married on 25.5.1901 at Kirkby Malzeard to Margaret Wood. [b1872] dau of George & Ellen. of Grewelthorpe. Joseph was a grocer & general dealer. LAWRENCE BERTRAM WOOD. Born C. 1879 Grewelthorpe. Son of William & Emma. Living Kirby Underdale 1891. LIZZIE WOOD [Nee King]. Born 19.3.1884. Died 23.1.1959.Grewelthorpe. M.I. Wife of William. Lived Spring House, Grewelthorpe. member of methodist church, Women’s Institute and Kirkby Malzeard Brighthour. LUPTON WOOD. Born C. 1775. Buried 4.12.1843 Kirkby Malzeard. MABEL WOOD. Born 2 Sept 1013. Dau of Stephen & Lavinia. Living Azerley Lane 1939. MARK WOOD. Born C. 1847 Grewelthorpe. Son of John & Elizabeth. MARGARET WOOD. Born C1506. Widow of Christopher Wood of Grewelthorpe made a will 7.1.1584. [Masham Peculiar records]. Mentioned as a witness in a cause paper from Borthwick Institute ref. DC.CP 1574/3A. MARGARET WOOD. Born 26 July 1863. Unmarried in 1939 living K.Malzeard. MARGARET WOOD. Bap. 10.11.1872 Grewelthorpe. Dau of George & Ellen of The Hutts Grewelthorpe. Servant in Ripon 1891.Married Joseph Wood. of Kirkby Malzeard on 25.5.1901 at K.Malzeard. Sister of Sophia Ethel Wood. MARY WOOD. Married in 1710 at Kirkby Malzeard to William Whitfield. MARTHA WOOD. Bap. 21.3.1849 Kirkby Malzeard. Dau of Henry & Isabella. MARTHA WOOD. Bap. 3.9.1854 Kirkby Malzeard. Dau of Henry & Isabella of Kexmoor. MARTHA WOOD. Born C. 1885 Kirkby Malzeard. Servant Grewelthorpe 1901. MARTIN WOOD. Yeoman of Grovedale. Will proved 29.9.1813. [Masham Peculiar records]. MARY WOOD. Born C. 1734. Lived Laverton. Buried 17.1.1821. Ref. Kirkby Malzeard Par. Reg. MARY WOOD. Bap. 3.2.1758 Kirkby Malzeard. Died before 1760. Dau of Thomas & Ursula Scott. MARY WOOD. Bap. 11.5.1760 Kirkby Malzeard. Dau of Thomas & Ursula Scott. MARY WOOD. Born C1774. Buried 10.10.1845 Kirkby Malzeard. Dau of Matthew [of Spring Hall] & Ann. Did not marry. Died in Laverton. MARY WOOD. Born C. 1805 Mickley wife of George. MARY WOOD. Born C. 1839 Grewelthorpe. Dau of Matthew & Sarah. Married James Swenden. of Darlington. in 1866.Ref. York Herald Saturday 26 May 1866. SWENDEN-WOOD. On the 22nd instant at St. James’ Church Grewelthorpe by the Rev Cecil W DALTON, Mr James SWENDEN of Darlington, Chemist, to Mary, second daughter of the late Matthew WOOD Esq. of The Hutts, near Ripon. MARY WOOD. Bap. 25.5.1845 Kirby Malzeard. Dau of John & Elizabeth. MARY WOOD. Bap. 4.10.1846 Kirkby Malzeard. Dau of Henry & Isabella. 1861 House servant in Grewelthorpe. Married on 26.11.1870 at Kirkby Malzeard church to John Barker. a Mason from Markington. [b.1846] son of John Barker. the Stonemason. MARY ANN WOOD [Nee Binks] Born C1848. Sister of Hannah Binks [b.C1857] Married to John Wood. Living Swinton 1871. MARY WOOD. Born C. 1843 Grewelthorpe. Wife of James Swenden. Living Manor Hse Farm. Great Smeaton 1891. Sister of Elizabeth Wood born 1862 Grewelthorpe. MARY ANNE WOOD. Born C. 1847 Ilton. Wife of John of Ellershaw. MARY WOOD. Bap. 13.2.1853 Kirkby Malzeard. Dau of Henry [The Shoemaker] & Ann. MARY JANE WOOD. Born 26.1. 1865 Kirkby Malzeard. Dau of George & Eleanor Iddison. Started Grewelthorpe school 14.11.1876. Living West Tanfield in 1881. MARY ANNE WOOD. Born 26.5.1871 Swinton. Son of John & Mary Anne. Started Grewelthorpe school 16.4.1883. MARY ANN WOOD. Born C. 1873 Dau of Robert. married on 21.10.1902 at Kirkby Malzeard to Thomas Tipling. a Plate Layer from Harrogate. [b.1873] Son of William. Thomas was postman in Starbeck, Harrogate in 1911. They had 1 dau. 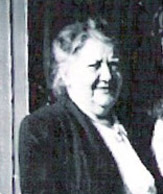 Marjorie b. 1908. MARY WOOD. Born 6.8.1881. Started Grewelthorpe school 5.10.1891. MARY E.WOOD. Born 5 Nov. 1909. Dau of Thomas & Edith. of Galphay. MARY WOOD. Born 8.1.1917. Dau of William of Ellershaw. Started Grewelthorpe school 1.4.1925. MATTHEW WOOD. Buried 9.12.1719 Kirkby Malzeard. Son of Richard of Grewelthorpe. MATTHEW WOOD. Born 1732 Scotton. Bap. Farnham. Died 17.11.1810. Buried 20.11.1810 Grewelthorpe. Farmer Spring Hall Grewelthorpe. Made will 26.12.1807. Proved 24.4.1811. [Masham Peculiar record] Son of John & Ann. Married Ann. Lived Spring Hall Grewelthorpe. Grave of Matthew Wood [1732-1810]. MATTHEW WOOD. Born C1776. Died 1805. Buried Kirkby Malzeard. M.I. MATTHEW WOOD. Born C. 1802. Markington. Died 9.3.1864. Buried 11.3.1864. Grewelthorpe. Son of John & Esther Jackson. Yeoman. Husband of Sarah of Grewelthorpe. Farmer at The Hutts. Leeds Intelligencer Saturday 31 January 1857On Monday last, at the Leeds Court House, John ROBSON, who has been previously convicted, was charged with stealing a bass of joiner’s tools, worth £3, the property of Matthew WOOD and John COLBECK of Grewelthorpe near Ripon. It appeared from the evidence that on Thursday afternoon week the prisoner offered a bass of joiner’s tools for sale to Samuel GAUKRODGER who keeps an old stores stall in the Kirkgate market, stating that he was a joiner and that they were part of a lot he had bought at Stockton for £4. GAUKRODGER was not satisfied with this statement and called in police inspector MUNDELL to whom the prisoner again stated that the tools were his own. He was removed to the police office and there he admitted to policeman RIPLEY that he had stolen them from the corn mill of Mr WOOD at Grewelthorpe. Mr WOOD, who is a farmer and miller at a place called Hutts near Grewelthorpe identified part of the tools as his property and the remainder as that of John COLBECK a workman in his employ, and stated that they were stolen on Wednesday night week from his corn mill. The prisoner made no defence and was committed to the sessions for trial. MATTHEW WOOD. Buried 20.11.1810 Grewelthorpe. Farmer Spring Hall Grewelthorpe. Made will 26.12.1807. Proved 24.4.1811. [Masham Peculiar record]. MATTHEW WOOD. Born C. 1843 Grewelthorpe. Died 5.5.1905 Hutton Conyers.. Son of Matthew & Sarah. [of The Hutts.] Husband of Betsy Bainbridge. [1843-1914] M.I. [see picture below]. MATTHEW WOOD. Born C. 1847. Buried 26.9.1847 Kirkby Malzeard. MATTHEW WOOD. Born C. 1855 Kirkby Malzeard. Son of Henry & Isabella. MATTHEW WOOD. In 1890 Bulmers Directory for Masham. he lived at Ellington Hall. MYRA WOOD. Born 31.5.1926. Dau of Ernest of Ilton Grange.Started Grewelthorpe school 10.8.1931. Left for Ripon modern school 1939. NELLIE WOOD. Born 7.7.1918. Dau of William of Ellershaw. Started Grewelthorpe school 4.1.1926. PHYLLIS ELLEN WOOD. Born 24.2.1918. Bap 17.4.1918. Dau of George & Sarah Jane. RICHARD WOOD. Buried 18.3.1730 Kirkby Malzeard. Son of William. RICHARD WOOD. Bap 3.10.1811 K.Malzeard. Son of John. Richard was a Tailor in Kirkby Malzeard. Married on 2.10.1849 at Kirkby Malzeard to Mary Pearson. dau of William Pearson the coachman. [Ref. K.Mal. Par. Reg. ]Reported in Yorkshire Gazette April 1863. John Paley, of Dallowgill, farmer, and Richard Wood, of Kirkby Malzeard’ tailor, was charged under the Night Poaching Act. It appeared that about three o’clock on the morning of the 2nd inst Thomas Goodyear, a police-officer stationed at Kirkby Malzeard, met the defendants on the high-road in Laverton township, they had two dogs with them, and on searching Paley found a hare, two snares and three nets, and in the pocket of Wood a net. Paley was fined £5, and 13s. costs, which he paid, and Wood was fined £5, and 11s. costs, and in default of payment to be committed to Wakefield House of Correction for three months. ROBERT WOOD. Born C. 1831. Buried 13.6.1847 Kirkby Malzeard. ROBERT WOOD. Brn C. 1834. Son of John & Elizabeth. ROBERT WOOD. Born 1836. Son of William the Broommaker & Jane.Reported in Yorkshire Gazette May 1861.Robert Wood and his brother Thomas Wood [broommaker] of Kirkby Malzeard were charged with stealing a bushel of oats, the property of Sir Wm. Payne. Thomas was seen by a gamekeeper delivering the oats to his brother. They were committed for 7 days to the house of correction in Northallerton with hard labour. SARAH WOOD. Born C. 1819. Died 7.11.1872 Buried 12.11.1872. Grewelthorpe. Wife of Matthew of The Hutts. M.I. SARAH ANN WOOD. Born C. 1838 Grewelthorpe. Dau.of Matthew & Sarah. SOPHIA ETHEL WOOD. Born C. 1888 Kirkby Malzeard. Dau of George & Ellen. Sister of Margaret. Dressmaker in 1911. STEPHEN WOOD. Born 24 October 1862. Dairy Farmer Azerley Lane Galphay in 1939. Married to Lavinia. THOMAS WOOD. Died 1776 Kirkby Malzeard. THOMAS WOOD. Bap. 9.5.1730 Kirkby Malzeard. Son of Thomas [d.1776]. Married Ursula Scott. of Kirkby Malzeard on 13.12.1752. THOMAS WOOD. Born C. 1763. Buried 23.10.1849 Kirkby Malzeard. [Ref. Par.Reg]. THOMAS WOOD. Bap. 26.9.1765. Died March 1766. Kirkby Malzeard. Son of Thomas & Ursula Scott. THOMAS WOOD. Born C. 1767. Buried 7.9.1851 Kirkby Malzeard. [Ref. Par.Reg]. THOMAS WOOD. Born C. 1771. Buried 2.6.1837 Kirkby Malzeard. 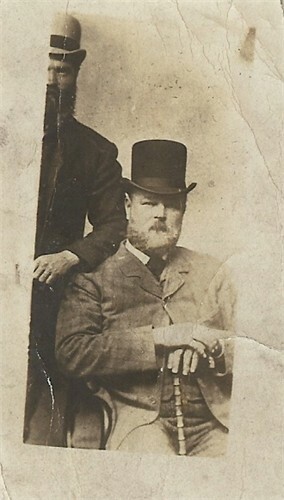 THOMAS & GEORGE WOOD. Butchers of Kirkby Malzead declared bankrupt in 1809. THOMAS WOOD. Born C. 1800 Markington. Had a lifetime interest in some land in Grewelthorpe. Married Elizabeth Leathley of Grewelthorpe. THOMAS SMITH WOOD. Flaxdresser in Dallowgill. Had daughter Elizabeth who married John Horner. THOMAS WOOD. Born 1829. Son of William the Broom maker & Jane. See note under Robert Wood. THOMAS WOOD. Born C. 1833 Grewelthorpe. Husband of Mary from Langthorne. Colliery Labourer. Living Langley Moor, Durham in 1881. This could be the Thomas that married Mary Atkinson. on 30.5.1857. at Kirkby Malzeard. He was the son of Henry Wood. THOMAS BARKER WOOD. Born C. 1837. Buried 18.8.1837 Kirkby Malzeard. THOMAS WOOD. Born C. 1841. Buried 20.4.1842 Kirkby Malzeard. THOMAS WOOD. Bap. 13.2.1853 Kirkby Malzeard. Son of Henry [The shoemaker] & Ann. THOMAS WOOD. Bap. 4.12.1854 Kirkby Malzeard. Son of Matthew [The Yeoman]& Sarah of The Hutts Grewelthorpe.1881 Shopman in charge of Chemist shop Darlington. 1891 Servant in Darlington. TOM WOOD. Born C. 1860 Durham. Son of Thomas & Mary. Colliery Labourer in Durham in 1881. TOM WOOD. Born 14.5.1869 Grewelthorpe. Son of Thomas & Elizabeth Leathley. Started Grewelthorpe school Nov 1876 Having previously been at a private school. THOMAS SAMUEL WOOD. Born 16.7.1880 son of Thomas. Started Grewelthorpe school 12.3.1888. Married Edith A. [Born 1883]. Dairy Farmer Living Galphay in 1939. THOMAS HARDCASTLE WOOD. Born 6.9.1923. Bap 28.10.1923. Son of George & Sarah Jane. TRIPHENA WOOD. Bap.22.2.1735 Kirkby Malzeard. Dau of Thomas [d.1776]. URSULA WOOD. Bap. 27.5.1755 Kirkby Malzeard. Dau of Thomas & Ursula Scott. WILLIAM WOOD. Born C. 1761. Died 23.5.1838 Masham. M.I. St. Marys Church, Masham. Possibly the son of Thomas & Ursual Scott. of Kirkby Malzeard. [NOT PROVED] Married to Elizabeth. Had sons William 1805-1843. John 1828-1845. & Thomas. WILLIAM WOOD. Born 1803 Kirkby Malzeard. Broom maker in 1851. Married Jane [b.1805].A William Wood owned a lot of land and properties in Kirkby Malzeard, several of these were auctioned in 1840. These included the pub house The Shoulder of Mutton.See details on the Richmond page of this site.WILLIAM WOOD. Born 1834. Son of William the Broom maker & Jane. WILLIAM WOOD. Bap. 13.9.1846 Kirkby Malzeard. Son of James [The Publican] & Mary Ann of Laverton. WILLIAM WOOD. Born C. 1849 Beeston Hill. Farmer. Grovedale Farm. Husband of Emma. WILLIAM WOOD. Born C. 1867 Kirkby Malzeard. Son of George & Ann. Living Huddersfield 1871. WILLIAM WOOD. Born 5th March 1870 Ilton. Died 13.7.1940. M.I. Eldest Son of John & Mary Anne Binks. of Ellershaw Farm, Bramley Grange, Grewelthorpe. Husband of Lizzie King. [born1884] Unmarried servant in Thirsk in 1891. Lived at Spring House Grewelthorpe for last 13 years of his life. Had 1 son and 5 daughters. Left £1585. See photo of grave at end. Dairy farmer. Wm Wood and Lizzie King. WILLIAM WOOD. Born C. 1870 Grewelthorpe. Son of Anthony & Mary Ann. WILLIAM CLARKSON WOOD. Born 16.1.1877. Son of John of Fingerfield Grewelthorpe. Started Grewelthorpe school 11.6.1883.Married EMMA HANKIN. in 1902 in Grewelthorpe. WILLIAM HAROLD WOOD. Born C. 1882. Son of William & Emma. Living Kirby Underdale in 1891. WILLIAM RALPH WOOD. Born 10 March 1882. Died 7.12.1949 age 67. Married to Margaret born 1879. Lived Prospect House, Kirkby Malzeard. Father of Norman. [Ref. Yorks Post Dec 1949] He was a builder. WILLIAM WOOD. Born 1 Oct 1914. Twin of Hannah. Son of Thomas S. & Edith of Galphay. Farm worker. WINIFRED E. MARY WOOD. Born 18.4.1907. fir Tree House, Grewelthorpe. Dau of George & Sarah Jane. Started Grewelthorpe school 1.4.1914. Reported in Ripon Gazette Feb 1934. “Miss Wood of Fernleigh, Grewelthorpe died age 61. [Born C1873]. 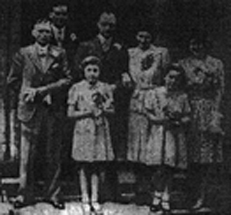 Wedding of Hilda Wood & Ernest Horner. May 1947. Grave of John Wood. of Dallowgill. In Grewelthorpe churchyard. Grave of Matthew & Betsy Wood. in Grewelthorpe churchyard. Matthew Wood. 1843 – 1905. Picture by kind permission of Helen Smith. Obituary for *Matthew Wood. 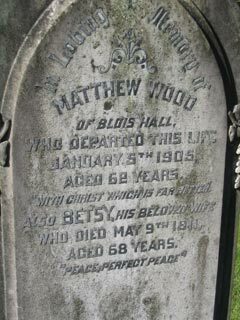 *Mr Matthew Wood of Blois Hall near Ripon, farmer, died on Thursday [5.5.1905] at the age of 62. after a long period of declining health. Mr Wood was among the best known of Yorkshire farmers, and was distinguished by his massive build, his conspicuous figure giving every indication of a sound and strong constitution. Of late years, however, Mr Wood has steadily been failing, much to the regret of his numerous friends.The greater part of his life was spent at Ellington Hall, Low Ellington near Masham., where he had a wide spread reputation as a breeder & judge not only at the Royal and Yorkshire show but at various district agricultural shows.His stock was also to be met with at all important shows, and he was a frequent prize winner. Mr Wood took an active and helpful interest in the Ripon Horticultural Assoc. and the Ripon Agricultural Society, the latter being associated with the annual show. He was on the council of both organisations.A few years ago Mr Wood removed to the Blois Hall Farm which occupies an elevated position above Copt Hewick and is a well known landmark for many miles around Ripon. He was succeeded at the Ellington Farm by his son.Mr Wood was a churchman and was for 30 years churchwarden at Masham. He was in politics a Conservative. Mr Wood since coming to the Ripon district represented Hutton Conyers on the Wath Rural District Council and was a member of the Board of Guardians.He leaves a grown up family and his sons are wll known agriculturalists. Blois Hall Farm. Photo by David Rogers reproduced under creative common licence. 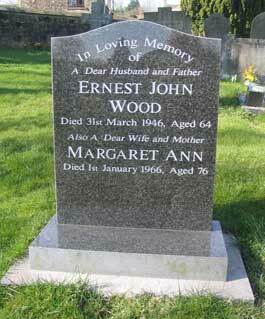 Grave of Ernest John Wood. in Grewelthorpe churchyard. 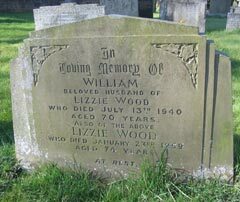 Grave of William & Lizzie Wood. in Grewelthorpe churchyard. Report in Leeds Intelligencer Jan 1839.Thomas Metcalf and Thomas Wood, for stealing, at Azerley, a quantity of wheat, the property of John Nicholson, and several fowls, and a piece of canvas, the property of John Blackburn, of Laverton. Imprisoned six months to hard labour. Report in York Herald July 1871.William Wood a Tailor of Kirkby Malzeard, a widower, was brought up on remand charged with stealing £105 in bank notes and other articles, the property of William Barker, labourer, of the same place. Barker said that he had thought for some time that Wood was too familiar with his wife, and on the day in question his son had told him that his Mother and Wood had gone off in a cab. On reaching home he discovered several articles of wearing apparel had gone, his desk broken open and the £105 in bank notes wanting. He could swear to the whole of the notes and had had them in his possession for 2 or 3 years.Barker’s son spoke to the fact that Wood had been in his house on the morning of the 11th, and starting off with his Mother in a cab in the afternoon.James Morland cab driver said he drove Wood and Ann Barker first to Grewelthorpe, then to Masham and then to Pateley Bridge leaving them at an Inn. The landlord of the Inn said that they had stayed all night at his house, occupied 1 bed and passed as Mr & Mrs Wood. Got up at 6a.m. and asked him the time of the train from Pateley Bridge and what was the fare to Bradford. Joseph Wood William’s nephew said that his uncle had asked him to take care of £105 for him until he came back. Sergeant Todd of Pateley Bridge watched the parties leave the Inn, proceed to the railway station and get tickets to Bradford. They got onto the train and he arrested William Wood and took him to the police station. The woman followed. On charging Wood with stealing £105 he said “alright.” On searching him he found £5 in gold. 28s in silver and 5d in copper.He received the £105 the following day at Kirkby Malzeard from Joseph Wood, who got the notes from between the roof and wall of a cow shed where he had put them for safety.Ann Barker said that Wood had often told her to get the money, and to get the desk lock picked, and that he would go with her as soon as she had got the money. On getting it on the 11th she took it to Wood and gave it to him, and never received any of it from him. William Wood was sent for trial at Leeds Assizes and bail was not granted.